On Jan. 1, Virginia Gov. Ralph Northam issued a proclamation making 2019 the official year of reconciliation and civility for the state. One month later, he found himself embroiled in a controversy over a racist image of two men in blackface and a Klan robe in his medical school yearbook. Former Gov. Bob McDonnell, who founded the volunteer group, Virginians for Reconciliation, that is leading the reconciliation and civility charge behind Northam's January proclamation, described the photo in question as ironic - given the pledge - and reprehensible. "I think, at his core, Ralph Northam, for my 12 years of knowing him, is a good and decent man," he told TIME. "He's given most of his life to public service: Army officer, dedicated doctor and now the state government for 12 years. I think the pictures are reprehensible. They are vile and are properly criticized overwhelmingly by Virginians." 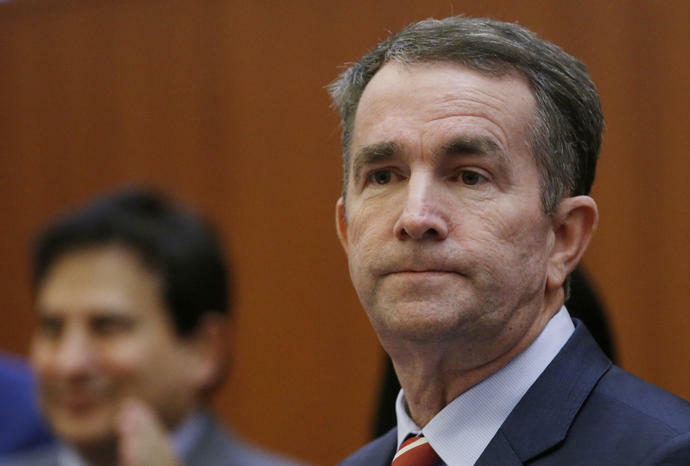 Some Virginia lawmakers have called for Northam to step down immediately: U.S. Reps. Elaine Luria, Abigail Spanberger, Jennifer Wexton, Gerry Connolly and Don Beyer, among several others. McDonnell stopped short of that step, saying Northam should instead embrace the opportunity for reconciliation. "This presents a unique opportunity for Virginians for Reconciliation, and many other groups that are working on this, to have some significant truth-telling and honesty and forgiveness and repentance and a frank discussion about where we are. You know everybody's got - it seems to me - some things that they have in their life, some prejudices, some biases that need to be examined and extracted from their life," he said. "And perhaps this event will allow Virginians to confront the ugly and evil legacies of slavery and Jim Crow and say: 'Where do we go from here? How do we how do we do better making this a just and equitable and fair society?'" Northam will be responsible for making his own decision, says McDonnell, who faced his own corruption scandal while governor in 2013. He confessed to accepting expensive gifts and loans from a political donor, though he paid them back, asserted he didn't break any laws and finished his term. "I think [Northam is] a good public servant at heart and he'll make that decision whether he has the ability to govern. Ultimately I think it is his decision," McDonnell said.